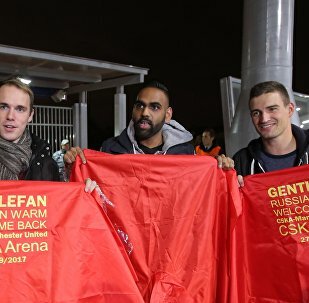 MOSCOW (Sputnik) – More than 30,000 foreigners visited Russia after the 2018 FIFA World Cup using the FAN IDs that were given out to match ticket holders, and which allowed them to enter the country without visas, Russian Deputy Foreign Minister Yevgeny Ivanov told Sputnik in an interview. The Swedish government has announced that it will no longer be boycotting the 2018 FIFA World Cup after its national team advanced to the knockout stage on Wednesday when it beat Mexico 3-0. 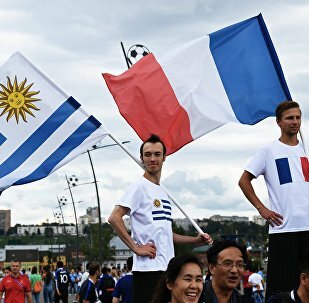 Twitter users have been enjoying themselves since Argentina and Iceland left the World Cup field in Moscow with a 1:1 draw. 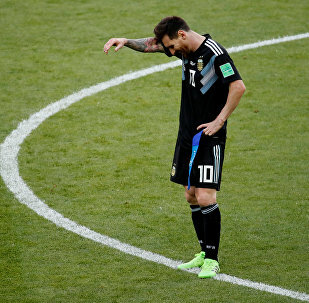 What put Messi fans into an abyss of hopelessness, gave others a Klondike of inspiration. After the Portuguese football star added another record to his profile with a World Cup hat-trick, his gesture during the game against Spain prompted social media rumbling. Some are convinced that Cristiano Ronaldo teased his long–time rival, Argentinian Lionel Messi, dubbed “greatest of all-time” in the latest ads. 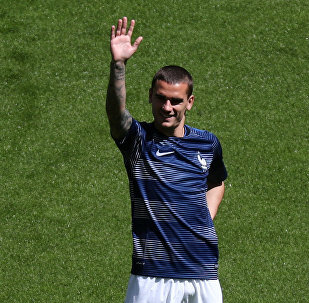 After the star of the French national team announced his decision to stay at Madrid’s Atletico, the President of Barcelona FC Josep Maria Bartomeu couldn’t contain his emotions at the thought of losing the top player. 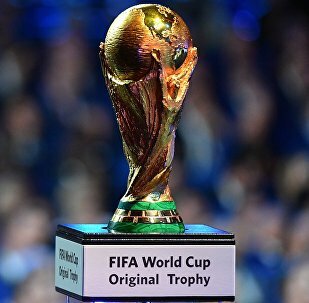 Chinese customs officials have seized huge amounts of fake FIFA World Cup products ahead of the championship soccer tournament being held in Russia. 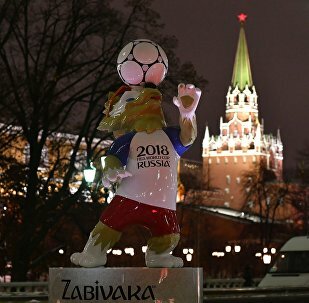 It seems like British mainstream media cannot make it through a single day without scary stories about Russia: first it was the Skripal case, now it’s the forthcoming World Cup. 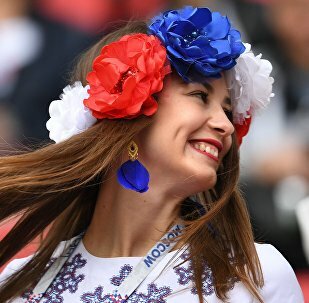 PARIS (Sputnik) - French President Emmanuel Macron said he believed in the French national football team and hoped that he would be able to come to Russia to support them at this summer's FIFA World Cup, French news channel BFMTV reported Friday. MINSK (Sputnik) - Russian Foreign Minister Sergei Lavrov and his Belarusian counterpart Vladimir Makey will sign an agreement on mutual visa recognition for the 2018 FIFA World Cup and the 2019 European Games during Lavrov’s working visit to Minsk on Tuesday, the press service of the Belarusian Foreign Ministry told Sputnik Friday. Journalist Ignacio Catullo committed an act of wig snatching this week after revealing that a manual approved by the Argentine Football Association (AFA) on Russian culture included - though only briefly - a chapter on how to seduce Russian women. 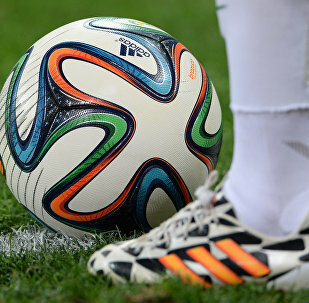 MEXICO CITY (Sputnik) - Russian Ambassador to Mexico Eduard Malayan will give small copies of football-shaped artworks to representatives of the 2018 FIFA World Cup participating nations, the Mexican artistic group that painted the balls told Sputnik on Sunday. 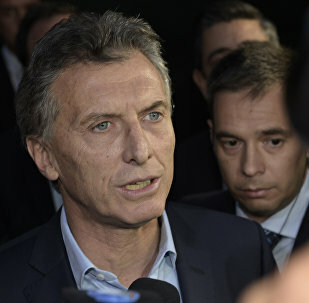 MEXICO CITY (Sputnik) - Argentine President Mauricio Macri will not go to Russia in June to cheer on the national team at the 2018 FIFA World Cup amid a deepening economic crisis at home. While a host of Danish politicians have argued in favor of Denmark boycotting the upcoming football World Cup in Russia “as a token of solidarity” with the UK, other Danish leaders were unimpressed. MOSCOW (Sputnik) - Rossiya Segodnya International Information Agency has launched a website, operating in Russian and English, for the Russian and foreign media outlets not accredited to the 2018 FIFA World Cup matches. The countdown to the 2018 World Cup in Russia begins in earnest this Friday, when the draw for next summer’s football extravaganza takes place at 15.00 GMT in Moscow’s fabulous State Kremlin Palace. Italy, who have won the World Cup four times, will have to defeat Sweden in order to make it to next year's tournament in Russia. If they fail to qualify it would be the first time since 1958. 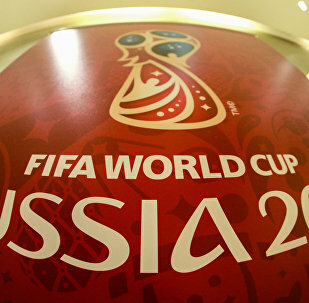 In June Russia hosted the FIFA Confederations Cup tournament for the first time as a prologue to next year’s FIFA World Cup. Radio Sputnik talked to Yekaterina Petelina, general director of Russia at VISA Incorporated, which is a sponsor of the 2018 World Cup. 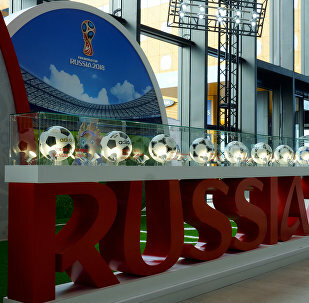 Russia’s regions will provide enough accommodation for the fans of the FIFA World Cup to be held in the country in 2018, Russia's state tourism agency Russiatourism head Oleg Safonov said Wednesday.